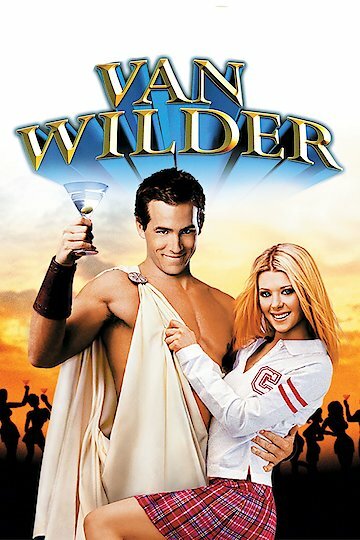 Van Wilder (Ryan Reynolds) makes his career-defining appearance in this raucous college life extravaganza. Van is a popular and near-superhuman figure at his university. This is due to his ability to throw the most epic parties, and matriculate as a procrastinating, philandering, seven-year celebrity on campus. Most fellow students believe he is only a pong-playing party machine. Inside, Van Wilder is aware of his own need for more. Along with most of the Twenty-First Century's most iconic frat moments, Van helps to guide fellow college buds to a life of fun, and absolutely unintended moments of...shudder, responsibility. A hard-hitting and strikingly beautiful journalist (Tara Reid) becomes interested in Van Wilder's world of parties and influence. She gives him much more than a pretty face to become aware of. As Van Wilder discovers himself, he enhances his circle of friends and provides off-color hilarity that will last for generations. Van also helps to launch the career of certain other National Lampoon characters like the loveable franchise favorites, Harold, Kumar and Taj. National Lampoon's Van Wilder is currently available to watch and stream, download, buy on demand at Netflix, Amazon, Vudu, Google Play, FandangoNow, YouTube VOD online.